Justice … nonviolence … standing up for the oppressed … reverence for life …. These are phrases you can hear at a vegan rally – or in a sermon. Religions, at their core, have decidedly vegan values, so it makes sense that we should be reaching out to people who are active in a religious tradition — and reaching out to the “not religious but spiritual” folks, while we’re at it. It makes sense. It’s not always easy. As any vegan knows who has tried to share this message with religious relatives or friends, or with fellow believers in their own congregation, the response is often negative. 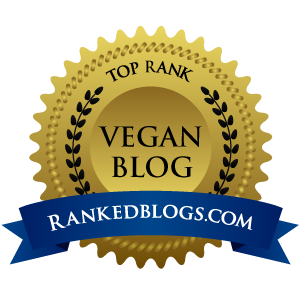 The non-vegan feels threatened – no bacon? no butter? — and responds with philosophical arguments and scriptural backup. This is confounding to me, because whatever shortcomings religious people may have, they are willing to wrestle with tough issues. We see it all the time. Whether the issue is war and peace, human rights, immigration, abortion, or some other controversial topic that impacts the lives of others, religious people are there. Different believers and different denominations can come to different conclusions but they don’t shy away from taking a stand. Why is it, then, that suggesting that the Sunday social feature vegan cookies and almond milk for the coffee, comes across as heretical? I think it’s because people of faith, like all people, are afraid of change. No one wants to be told what to do, nor to be “caught,” or shamed. Religious people feel a degree of certainty in their worldview, in rather the same way that that non-religious but highly intellectual people do. An ethical vegan seems to imperil their worldview. This is why it’s helpful, especially if you yourself are part of a religious community, to learn the ways in which vegan values reflect those of your tradition. The new documentary, A Prayer for Compassion, highlights these shared values. When filmmaker Thomas Jackson, winner of a Student Academy Award, approached me back in 2015 about being producer on this project, I knew that I didn’t know how to be a producer, but that I would go to the ends of the earth to be part of a documentary that focused on veganism and faith, my two passions. My college degree is in religious studies, and I used a Richter Fellowship grant to study vegans in the UK, where veganism began. This research resulted in my first book, Compassion the Ultimate Ethic. With this film, something of a life’s work has come full circle. One can argue – and many will – other parts of the Bible that seem to conflict with this, but the basic premise is unassailable. No believer can honestly state that refraining from animal products in any way interferes with “God’s will.” And we find pro-vegan themes in non-Biblical religions, as well, particularly in those religions that grew up in India and share as their foundational principle, ahimsa, non-killing, non-violence, non-harming. Share delicious food — this is a powerful act of ambassadorship. Find ways to do this and see how a hot meal beats a heated discussion any day. Teach a class at your church or synagogue. I put together a 7-week course, “Go Veg for Lent,” and it drew twenty takers at my church. Suggest a spiritual/vegan book for a book club. Dr. Will Tuttle’s The World Peace Diet is great for liberal congregations; Norm Phelps’s The Dominion of Love provides wonderful support for veganism and animal rights that is strictly Biblical; and Yoga and Vegetarianism, by Sharon Gannon, is a game-changer for yoga devotees. Screen a relevant documentary. VegFund.org covers the licensing fee for screening A Prayer for Compassion, and several other vegan films, as free public events. You can check out their website for details on all the films they sponsor, and if you’d like to show A Prayer for Compassion at your church, synagogue, yoga center, library, or school, write TheCompassionProjectFilm@gmail.com and you’ll be provided with the film in the format needed at no charge to you. If you need additional funding for venue or food sampling costs, you can apply for that to VegFund. Be an example. If you’re kind, generous and understanding, you’ll send the message, “Vegans are kind, generous and understanding.” If you can be interested in causes and issues that interest other people, they’re more likely to be willing to listen to you, too. Nearly 6 billion of the 7.167 billion humans on earth today identify as religious. This is obviously a huge, largely untapped audience for the vegan message. Many of these people are truly invested in living lives of love. You can help them. They just may not know it yet. Victoria Moran, shown here with film director Thomas Jackson, is the author of 13 books, host of the Main Street Vegan podcast, and director of Main Street Vegan Academy. She is also lead producer of the new film, A Prayer for Compassion. To watch the trailer and see where this film is being screened, click here . To host a screening yourself, contact Thomas Jackson: thecompassionprojectfilm@gmail.com. Thank you for reaching out to people of faith. Please also recommend this book by Dr. Scott Stoll (from the Plantrician project) for Christians: Alive: A Physician’s Biblical and Scientific Guide to Nutrition. Thank you for your work. Thanks, Elizabeth. I’ve checked out the book and want to have Dr. Stoll on my podcast.